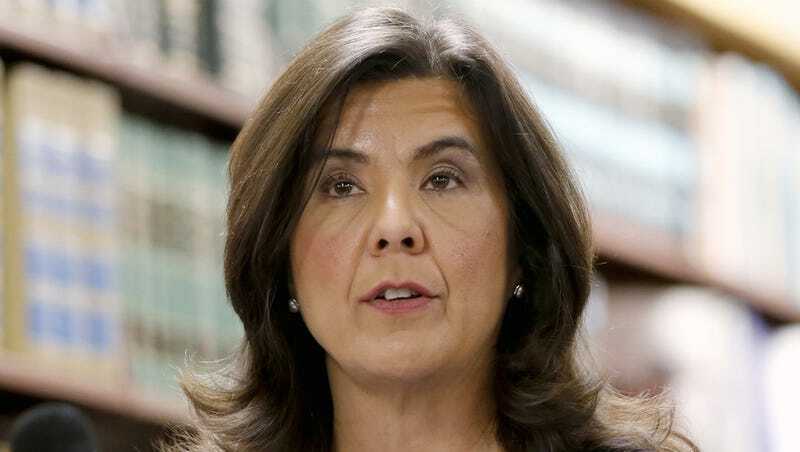 Anita Alvarez—the State’s Attorney for Cook County, Illinois who has grown nationally famous for her reluctance to charge 68 police officers involved in fatal shootings—has lost her race to keep her job tonight to Kim Foxx, an opponent from Cabrini Green whose express goal was to “bring back integrity to our criminal justice system” in the name of reform and accountability. Alvarez is best known for waiting over a full year to bring charges against Jason Van Dyke in the 2014 shooting of Laquan McDonald, and then only after Mayor Rahm Emmanuel was racked with protests. Black Lives Matter activists organized for Alvarez’s ouster, too, and her loss was something like a referendum, earning only 29% of the vote in comparison to Foxx’s 57.5%. Chicago Black youth kicked Anita Alvarez out of office. Just a month ago, Anita Alvarez was winning in the polls. Communities who refused to be killed and jailed and abused without any chance at justice refused to allow that to happen. We did this for Rekia. We did this for Laquan. We won’t stop until we’re free and Kim Foxx should know that well.